Actually, please don’t. We’re all tired of it. Every point you are making could be turned back towards yourself. I just want to make that clear. I made the original point. How can I not understand my own point. I said the Penguins uses slanted 2s and they do. That’s where this should have ended. You keep saying that I’m the one who is stretching it to make it fit, but I MADE THE ORIGINAL POINT. Plus the fact they do use slanted 2s. What don’t you understand? I'm wondering how long before this turns into the Titans thread and get closed? I. Do. Understand. As you SO ELOQUENTLY stated, you made the original point. I misinterpreted what you meant. We both shared our opinions (you think helmet decals are part of a team’s typographic system; I do not necessarily think so). 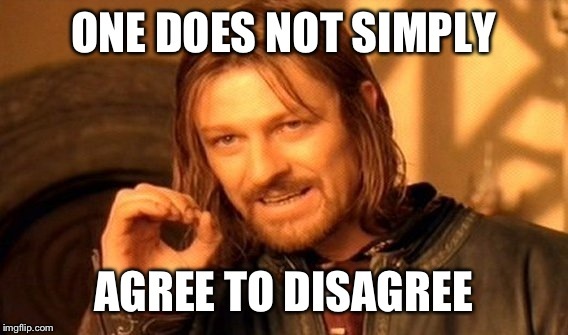 We have to agree to disagree on the topic. Let it go. Ok the Penguins don’t use slanted 2s. I’ll pretend it’s just not there on the helmet. I’m done. I don't know if this will be found helpful or not, but the issue here seems to be the meaning behind the terminology.. A team's use of something does not necessarily qualify that as part of a team's official brand identity.. For example, grey is not (as far as I can tell) an official color of the Arizona Cardinals.. However, they DO use grey facemasks.. Should grey be considered an official team color? I don't think so, but maybe.. So, while the Penguins DO use slanted 2's, the "Penguins 2's" are not slanted.. (Assuming of course, that they only lay claim to one official number font)..
Sooooo...... Any update on the Dolphins' uniforms? With the helmets, if it's a case where there's a custom font, then it has to be considered part of their typography. I'd consider the Penguins 2 part of their typography even if it isn't "official". If it's just a standard block something that looks "equipmenty" (like the Cowboys dymo label helmet stickers or sharpie on masking tape) then I wouldn't worry about it. Someone once made the point that there's a distinction between equipment and uniform. Once there's a custom mark on it, it's part of the uniform. 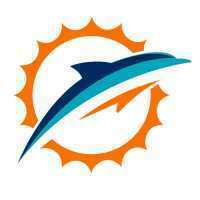 Like team logos on footballs? It just sounds like you’re being overly pedantic over what AH meant by “old font.” Teams usually use the same font across their entire uniform at a single time, so when they change the font of the number on the jersey (which is the most notable spot for a font to be used) but not the tiny one on the helmet (which is barely noticeable), the trained eye would certainly read that the helmet is stuck using the “old font” while the jerseys get the “current font.” Attempting to challenge that was a confusing move and just made things weird. Brown1 has been here for a whole 72 hours and has already been promoted to “poster to watch in 2018.” Nice work! Which is troubling, because the 1 and the 7, at least to me, are pretty bad as well. The only number that looks decent on its own is the zero. The 6 and 9 are strange, but they at least follow a logical design parameter and look like they were built to coordinate with each other. It pretty much goes off the rails after that. Regarding “the incident,” (speaking to everyone else), let’s just let that go. I accept that I could have handled that situation better, and I feel bad for contributing to derailing two threads. No one wants to poke that bear again. I didnt challenge it. I made the original point that the Penguins use slanted 2s which is true. Andrew brought the guff. Also want to state nothing I’ve posted is false. I don’t really see how backing up the truth and reality of the situation is brought on as so hostile. The issue is that the two of you are actually having two separate arguments.. AW's argument was referring to the 2's used in the team's official number font, which are not slanted.. Your argument was that they use slanted 2's..
Is it true that they use slanted 2's? 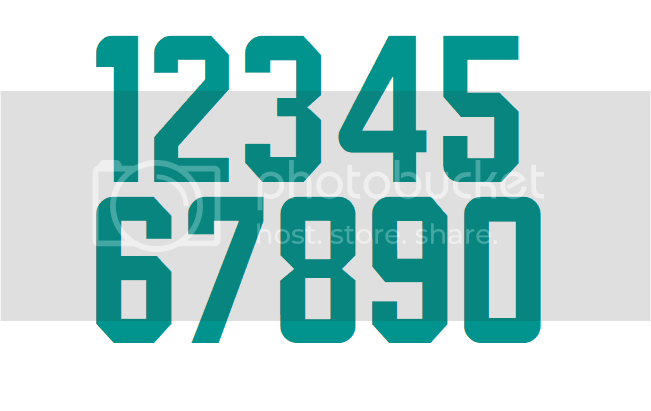 Yes..
Is it true that the Penguins' number font does not have a slanted 2? Also, Yes.. So, you are both correctly conveying accurate information in a manner that supports your own version of the argument, so there's no ground to be gained.. I'm as guilty as anyone of nitpicking a small inaccuracy to poke at someone's post, but it's never more than that.. You've stuck to your guns and defended yourself based on the fact that everything you've posted is true, but going around picking fights based on leftover relics in the equipment room is just not good form.. You could've called AW out on his inaccuracy, then graciously bowed out of the argument by playing nice, and we'd all respect you a lot more and admire your knowledge of uniform details.. Currently, it just feels like you're a big fan of "Ha, GOTCHA!" moments.. Which nobody likes.. Which is troubling, because the 1 and the 7, at least to me, are pretty bad as well. The only number that looks decent on its own is the zero. That was my first reaction to the suggestion that the 1 and 7 were specially designed. They're arguably the worst in the set - especitally the 7. I don't buy for a second that an NFL team would design a font or any aspect of a uniform around a specific player, considering careers can be over in a flash, players can decline overnight, or (at least in 2018) your star player can be charged with PED use or even arrested before you know it. Regarding the 0 - that number violates the overall principle of the design, which is that the corners on the top left side are round while they're angled on the right. It's ironic that the 0 and 8 probably look the best, and they're the two that violate the rules.